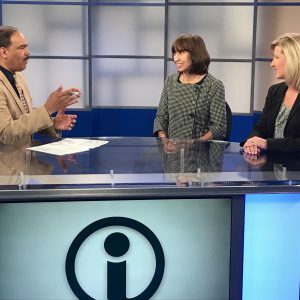 Ideastream senior host and producer Rick Jackson interviewed CLC’s Marianne Crosley and Karla Wludyga about the recent humanitarian mission to Puerto Rico. CLC and The City Club of Cleveland organized a mission of 28 Clevelanders, including several families, to do hands-on relief work, learn what still needs to be done, and meet with the island’s leadership. They also took in the Cleveland Indians baseball games.